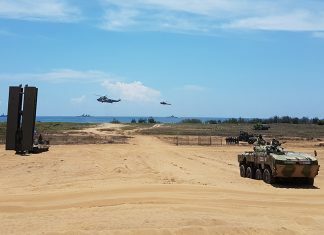 Part I of 4 photographic reviews of DEFEXPO 2018 brought to you by Defense-Update. 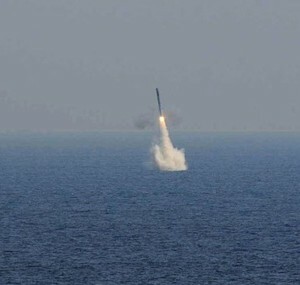 India successfully carried out the maiden test firing of a submarine-launched BrahMos missile, lunching the 290 km-range supersonic missile from a submerged ponton simulating a submarine launcher. 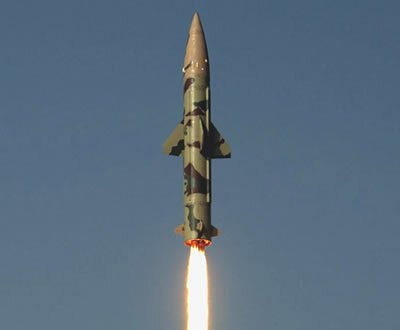 India's Defence Research and Development Organisation (DRDO) is preparing for the first flight test of an Indian cruise missile tomorrow, March 12, 2013 at the missile test range at Chandipur, Odisha. Under the planned test, Nirbhay (Fearless) will be required to complete a flight of 1,000 km, representing the weapon's operational range. 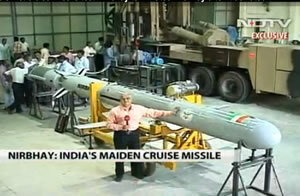 Pakistan announced it had test-fired a nuclear-capable cruise missile on Monday, September 17, 2012. Few days later, India also tested two of its Prithvi-II-class missiles, as well as an AGNI medium range missile.